Truth by Kbaig: The 2nd Biggest Achievement After Referendum 1947! The 2nd Biggest Achievement After Referendum 1947! 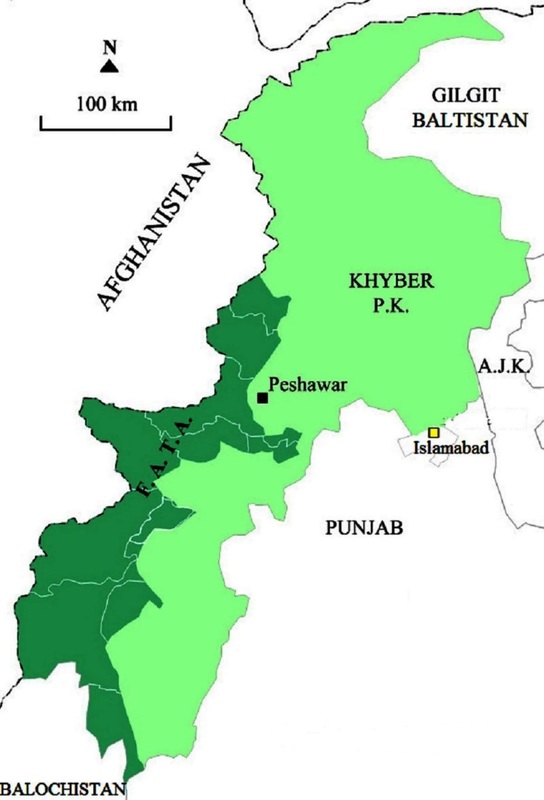 FATA is now part of Khyber Pakhtunkhwa Province of Pakistan. If we look at the history of last 71 years, enemies of Pakistan have been hatching conspiracies against the integrity of Pakistan targeting KPK and tribal areas of Pakistan especially FATA. These conspiracies were started before independent with the opposition of Abdul Ghaffar Khan (Bacha Khan) an important member of Indian Congress for including NWFP into Pakistan. Especially the tribal areas that were a problem for English in British India. The biggest reason behind unrest in the tribal areas also known as NO GO AREAS for British army was the interference of Afghanistan due to the influence of the Soviet Union and policies to create troubles for British govt. in New Delhi. In 1947 when the creation of Pakistan was foreseen, the Pakhtoon leaders started the campaign against the inclusion in Pakistan, it was not possible for British to leave the province of NWFP undecided. Congress was the ruling party in the province. When Congress leaders presented the option of the referendum it was readily accepted by the British rulers. Congress was expected to procure the support of the province’s public due to her govt. in the province. Quaid-e-Azam Muhammad Ali Jinnah also accepted the option of the referendum. He has foreseen the results of the referendum because he has the strong trust in the Two Nations Theory and his stance for the independence. So a written agreement was signed between the Muslim League and Congress for holding the referendum on 03 June 1947. When the campaign for the referendum was started, the local leadership of the Congress realized their defeat. Some historians are of the view the on the advice of the Kabul they tried to flee from the referendum. 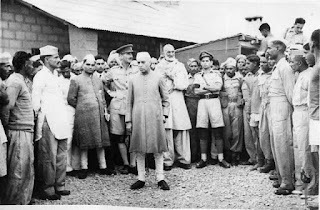 Jawaharlal Nehru with Abdul Ghaffar Khan at Wana during his visit to North West Frontier Province in October 1946. However, Congress objected to the governor of the province at that time for being the friend of the Quaid and threatened to boycott the referendum if their demand was not accepted. Congress was hoping that Quaid will turn down their demand. Quaid said to the British govt. that in spite of giving the chance to Congress to boycott the referendum, governor of the province should be changed. This was such an example of Quaid’s truthfulness and principles that can be hardly found in any political leaders. The name proposed by the Jawahar Lal Nehru was accepted by the British govt, and Robert Mc Gregor was appointed as the new governor of the province. This was a big achievement for Congress as they have succeeded in bringing the governor of their own choice. The newspapers in Western media posed the appointment of the new governor as the psychological supremacy of Congress. Despite this public voted in favor of Muslim League and Quaid while Congress was seen as being defeated. Bacha Khan boycotted the referendum and demanded the Free Pakhtunistan. This demand by the Bacha Khan created the difficult situation for Congress and Nehru. It was not possible for the Congress to boycott the referendum that was being held on their own demand. This boycott was also termed as the worst example of violating the principles by the newspapers published in New Delhi supporting the Congress. These newspapers have published the statements of Nehru that Congress would succeed in defeating the Muslim League in the referendum. The campaigns were started to fuel the Pakhtun nationalism that Muslim League is the party supported by English while Quaid is the friend of the English. 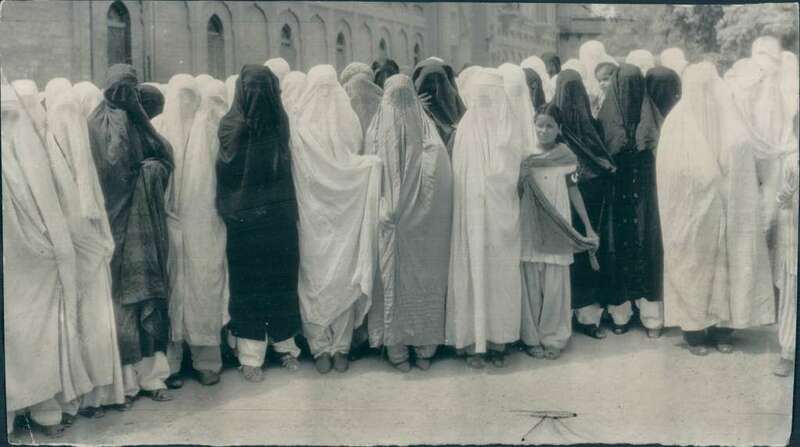 Veiled women vote in India referendum, Peshawar. July 1947. The report declassified, prepared by the Political Counselor of the USA to New Delhi shows that despite all the efforts and support of Afghanistan the campaign of Bacha Khan would fail and NWFP would be included into Pakistan. The report further said that the demand of Free Pakhtunistan by Bacha on 27 June 1947 might lead to civil war fueling the Pakhtun nationalism. Bacha Khan went so far in the opposition of Quaid that he termed meeting of Quaid with General Montgomery as a conspiracy against the Soviet Union and said that British want to include NWFP into Pakistan converting it into an operational HQ against the Soviet Union. President Mamnoon Hussain signed the 31st Constitutional Amendment to merge FATA with KPK. Despite all the efforts of Bacha Khan and Afghan govt. 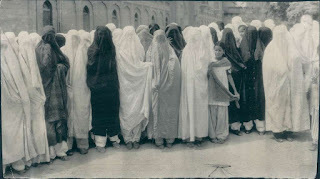 to fuel nationalism in the province as the Afghans, on 20 July 1947, the referendum was held. It continued till 30th June 1947. The number of votes cast in favor of Pakistan showed that Pakistan has been established. The total number of registered voters was 572799 while turnover remained 50.11%, out of which 289244 were cast in favor of Pakistan while 2874 were against Pakistan. The votes procured by Pakistan were 99.02% which showed the trust of Pakhtoons over Quaid’s leadership and Pakistan that was yet to get independence. On 14 August 1947, Pakistan got freedom and the areas of NWFP now KPK and FATA became part of Pakistan. The conspiracies of Kabul and New Delhi did end; sometimes they claimed the area away from Attock as part of Afghanistan in the Afghan parliament. When Afghan migrants were to be sent back to Afghanistan, they said who can ouster Afghans from their own areas. 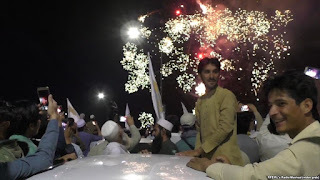 Greater Pakhtunistan conspiracy is ages old, recently the conspiracy of Pakhtun Tahafuz Movement was hatched and Manzoor Pashteen was presented as a folk hero, NGOs running on the foreign funding termed PTM as the real representative of Pakhtuns, or the support from within Pakistan, all are the part of conspiracies against Pakistan started even before the creation of Pakistan. People in Peshawar celebrate the merger of FATA with Khyber Pakhtunkhwa Province. From last 71 years, these conspiracies have been hatched in different forms; the only defense against these conspiracies was the merger of FATA and other agencies into the KPK. In this regard, the bill was passed on 24 May 2018 by the National Assembly. We congratulate all Pakistanis especially those belonging to these areas whose daily matters were being run by Political agents and landlords. Now they will have all the rights as citizens of Pakistan which were not allowed for them before. 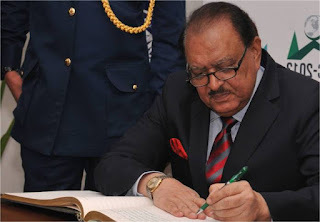 Parliament of Pakistan owes this achievement for giving the right of Appeal, lawyer, and arguments to the people of tribal areas by abolishing 117 years old FCR.